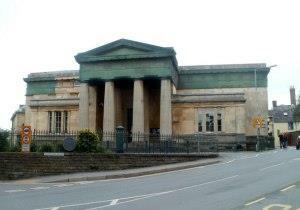 Brecknock Museum & Art Gallery MuseumBrecknock Museum & Art Gallery, funded and administered by Powys County Council, is one of the finest and liveliest small museums in Wales. First established in 1928 by the Brecknock Society, it occupies an historic building at the heart of an outstandingly attractive area with a rich and varied past. It offers fascinating glimpses of this past. Brecknock Museum & Art Gallery, funded and administered by Powys County Council, is one of the finest and liveliest small museums in Wales.